Vinyl windows are one of the most popular types of window installed around the world today. Vinyl was created as a low-cost material alternative for windows and other construction components. 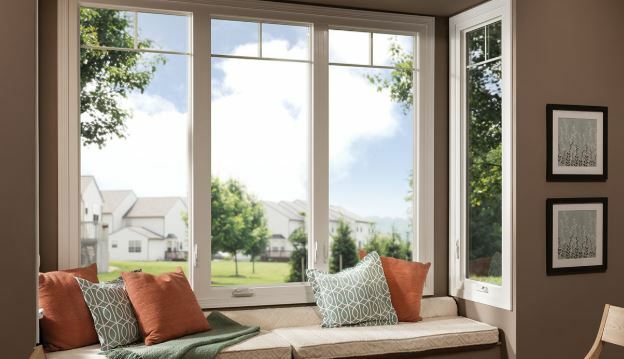 There are 3 main attributes that make Vinyl windows so popular, their superior energy efficiency, durability, and affordability. The material used to make vinyl windows, uPVC, is a safe, stable compound that will not warp or flex. Vinyl windows come in a wear-ever lifetime woodgrain finish. Available in light oak, medium oak, cherry, and walnut look-alikes. Will not rust, warp, splinter, or rot. Highly weather-resistant, even in extreme conditions. A scratch can almost always be polished smooth with very little effort. One of the many reasons for uPVC’s popularity in the industry is its ease of maintenance. In fact, it is renowned as one of the world’s lowest-maintenance materials in construction. Since uPVC is a poor cold or heat conductor, owners get better insulation, compared to wood windows. More economical than buying wood windows. Easy to handle and lightweight, vinyl windows are champions in the trade. Over time, uPVC vinyl may become slightly brittle; a hard blow could break it. Though fire-resistant, vinyl windows will melt if they are exposed to a prolonged flame. If you’re considering Vinyl Windows for your home, call Beckworth for a free quote (703) 570-6777, or use our contact form. You can also find good resources on our Blog or Facebook page.